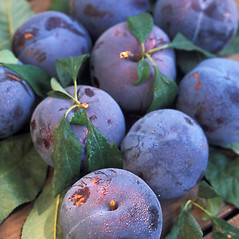 European plum is also known as "prune-plum" because its fruits, with high sugar content, can be dried to produce prunes. 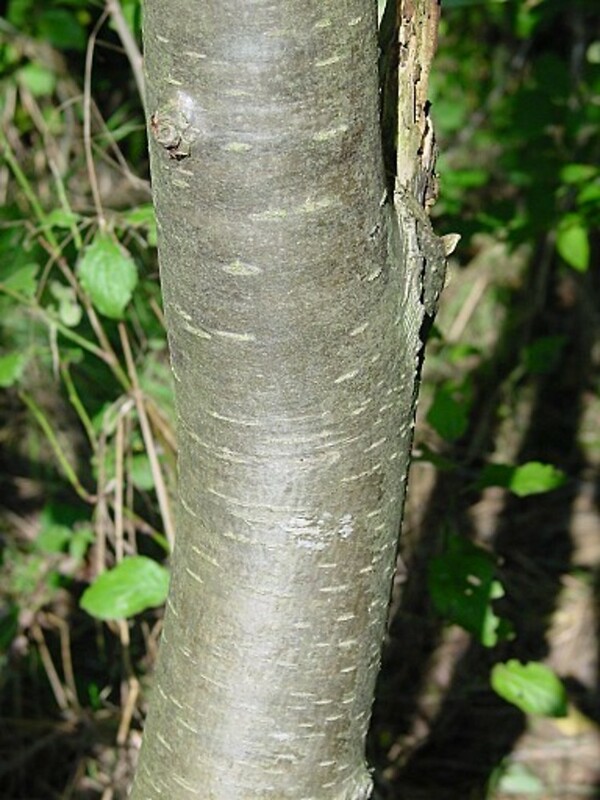 This is a small tree, growing to 10 feet or 3 m tall, which produces abundant white flowers in early spring that are visited by bees and butterflies but can also self-pollinate. 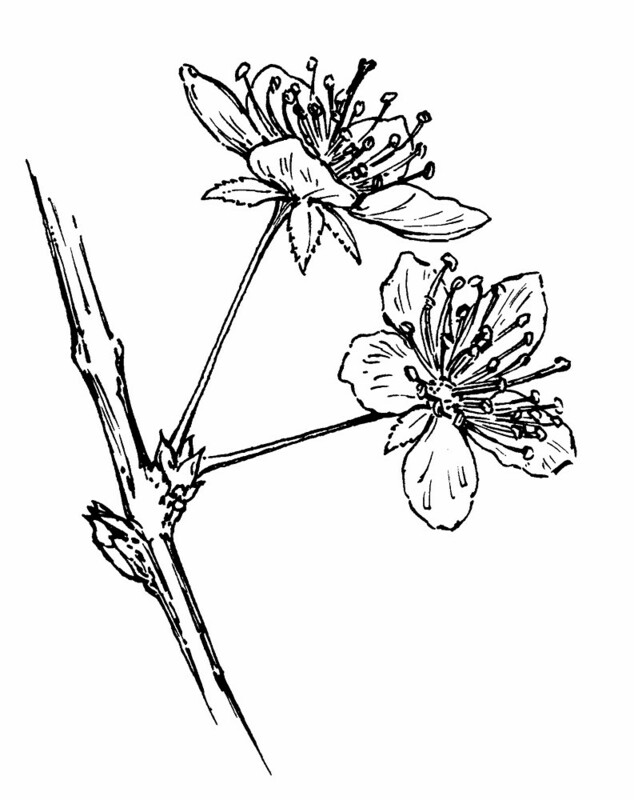 The sweet fruits attract many animals, who may help this species disperse and naturalize outside the garden. 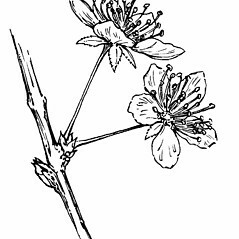 flowers and fruits sessile or subsessile and ovary and drupe densely pubescent (vs. P. domestica, with flowers and fruits borne on evident pedicels and ovary and drupe glabrous). hypanthium glabrous, leaf blades glabrous on the abaxial surface or sparsely pubescent along the midvein, flowers 20–25 mm in diameter, and drupes 20–30 mm in diameter (vs. P. domestica, with the hypanthium pubescent, leaf blades pubescent on the abaxial surface, flowers 10–20 mm in diameter, and drupes 40–75 mm in diameter). 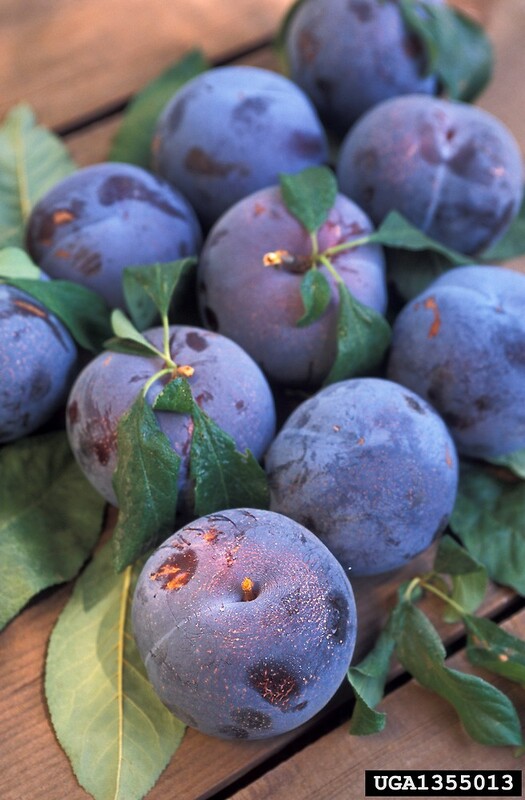 European plum. 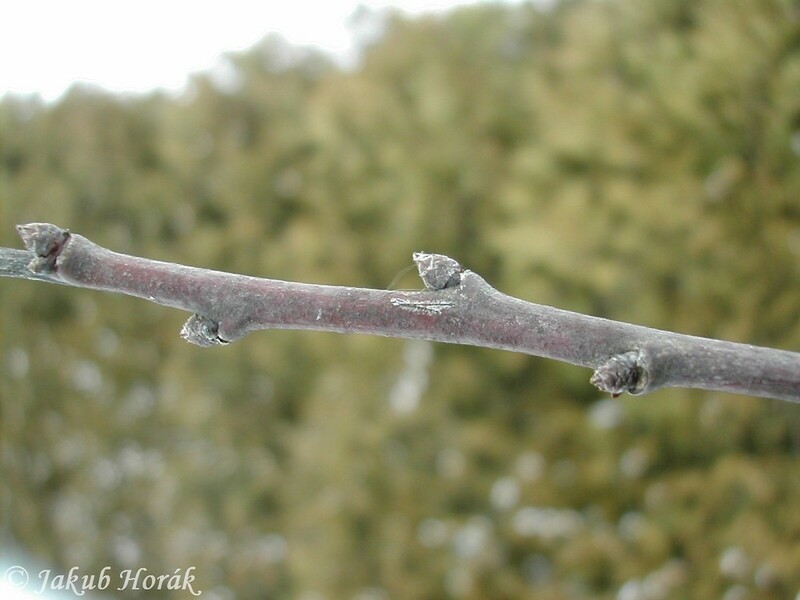 CT, MA, VT; also reported from NH by Magee and Ahles (1999). Roadsides, abandonded homesteads, forest borders. 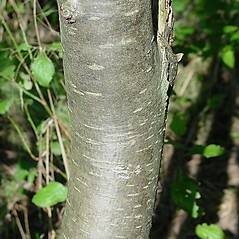 Prunus domestica is similar to P. insititia. 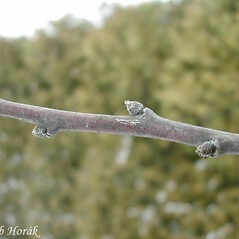 In addition to the characters used in the key, they can be separated by characteristics of their fruit. 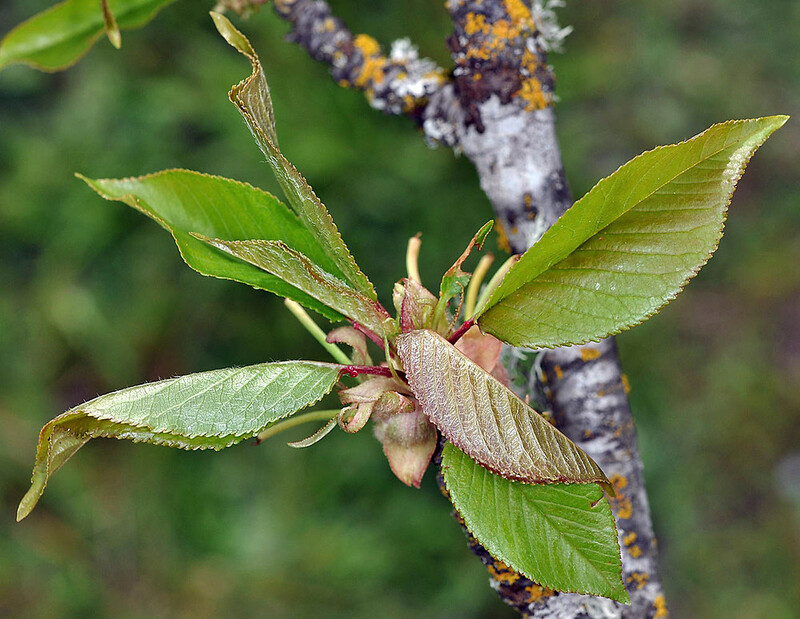 Prunus domestica has fruits 40–75 mm long with a conspicuously compressed and keeled endocarp that separates from the mesocarp (i.e., flesh). 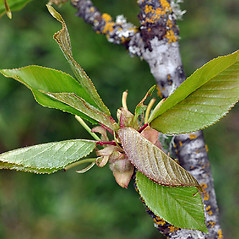 Prunus insititia has fruits (10–) 15–25 mm long with a somewhat compressed and scarcely keeled endocarp that adheres to the mesocarp.